Make your wishes come true! Come back every day for new gifts! Promo code has to be applied to redeem the offer. 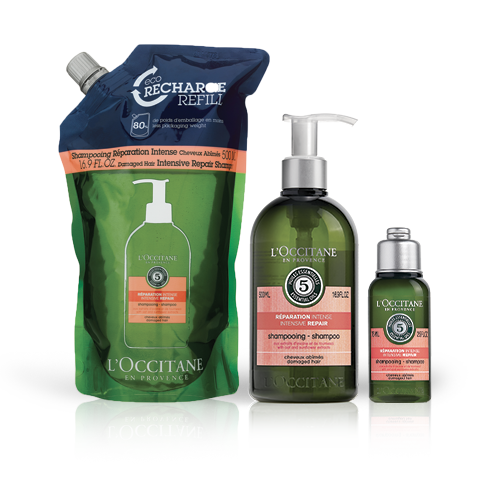 Delightful gifts every day till Christmas! Know the answer? 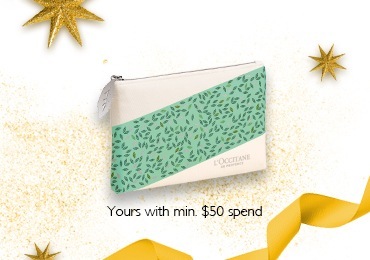 Simply apply the answer as a promo code to receive a Cosmetic Pouch* with min. $50 spend! *Valid on 13 Dec only. Limited to the first 15 customers only. Know the answer? 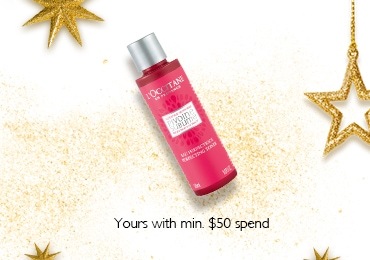 Simply apply the answer as a promo code to receive a Peony Pefecting Toner* with min. $50 spend! 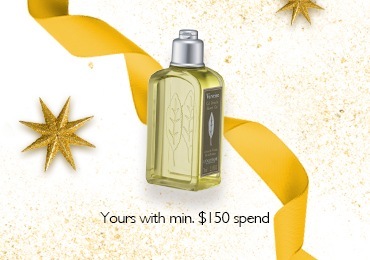 *Valid on 14 Dec only. Limited to the first 15 customers only. Know the answer? 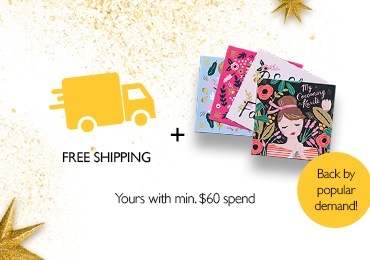 Simply apply the answer as a promo code to receive free shipping + Rifle Paper Co Postcard Set* with min. $60 spend! 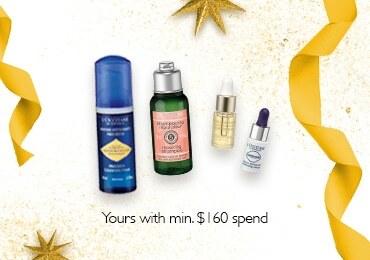 *Valid on 15 Dec only. Postcard set is limited to the first 40 customers only. Know the answer? 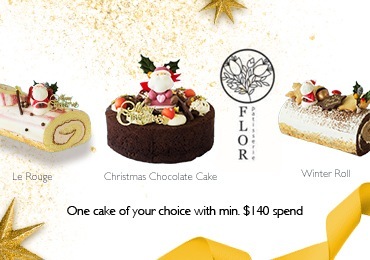 Simply apply the answer as a promo code to receive a Flor Patisserie Whole Cake Voucher* (worth $43) with min. $140 spend! *Each voucher is entitled to self-collection of Le Rouge, Christmas Chocolate Cake or Winter Roll at Flor Patisserie. Valid on 16 Dec only. Limited to the first 20 customers only. Know the answer? Simply apply the answer as a promo code to receive a FarEastFlora.com Flower Arrangement Voucher* (worth $40) with min. $140 spend! *Please indicate preference after check out. 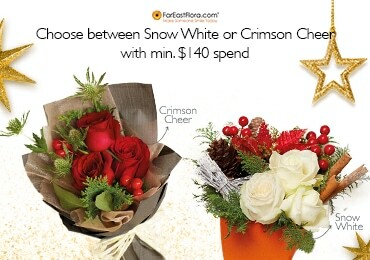 Each voucher is entitled to self-collection of Crimson Cheer or Snow White at FarEastFlora.com. Valid on 17 Dec only. Limited to the first 20 customers only. Know the answer? 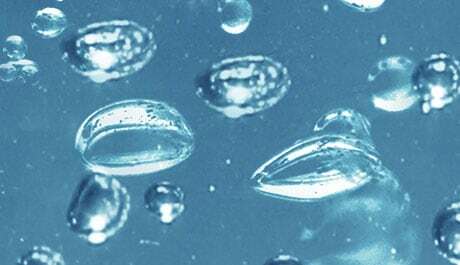 Simply apply the answer as a promo code to receive an Almond Milk Concentrate 20ml* with min. $50 spend! *Valid on 18 Dec only. Limited to the first 15 customers only. KNOW THE ANSWER? 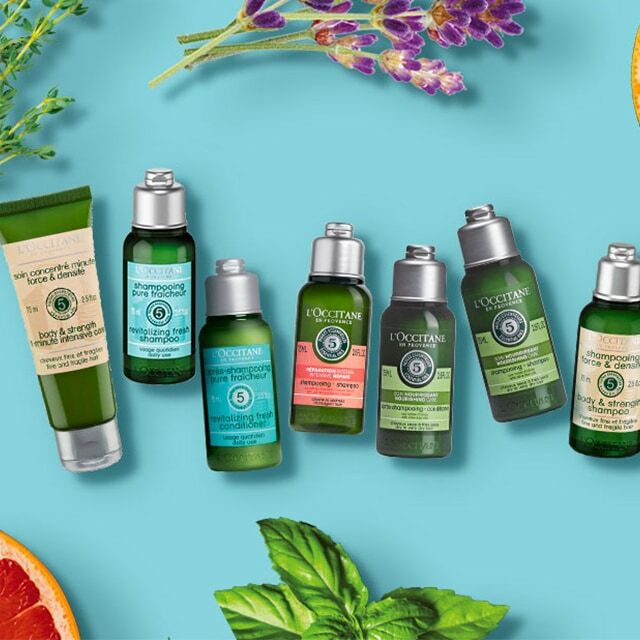 SIMPLY APPLY THE ANSWER AS A PROMO CODE TO RECEIVE A VEREBENA SHOWER GEL 70ML* WITH MIN. $50 SPEND! *VALID ON 19 DEC ONLY. LIMITED TO THE FIRST 15 CUSTOMERS ONLY. KNOW THE ANSWER? 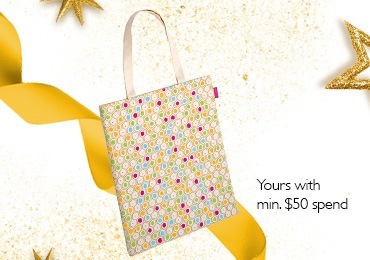 SIMPLY APPLY THE ANSWER AS A PROMO CODE TO RECEIVE A TOTE BAG* WITH MIN. $50 SPEND! *VALID ON 20 DEC ONLY. LIMITED TO THE FIRST 15 CUSTOMERS ONLY. KNOW THE ANSWER? 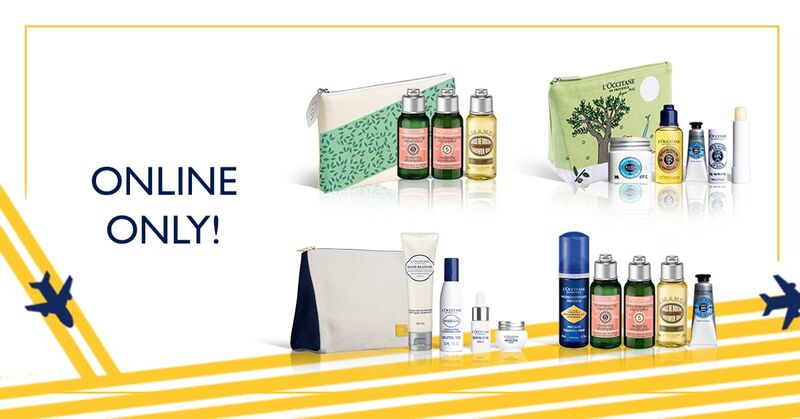 SIMPLY APPLY THE ANSWER AS A PROMO CODE TO RECEIVE A TRAVEL ACCESSORIES SET* WITH MIN. $50 SPEND! *VALID ON 21 DEC ONLY. LIMITED TO THE FIRST 15 CUSTOMERS ONLY. Know the answer? 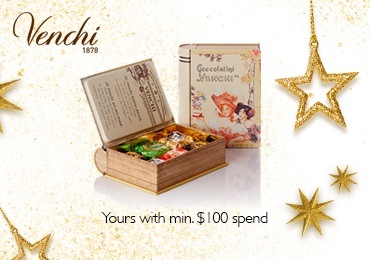 Simply apply the answer as a promo code to receive a Venchi Mini Chocolate Box* (worth $25) with min. $100 spend! *Valid on 22 Dec only. Limited to the first 15 customers only. Chocolate box will be shipped along with your order. Know the answer? 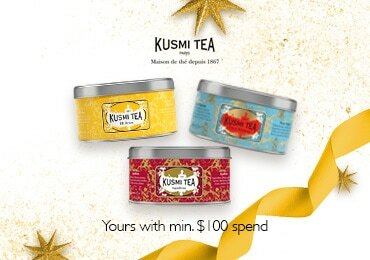 Simply apply the answer as a promo code to receive a Kusmi Tea Set* (worth $45) with min. $100 spend! *Valid on 23 Dec only. Limited to the first 15 customers only. Kusmi Tea Set will be shipped along with your order. Know the answer? 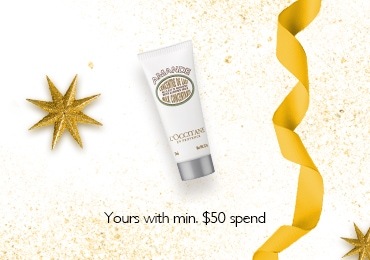 Simply apply the answer as a promo code to receive a Holiday Deluxe Gift* (worth $68.50) with min. $160 spend! 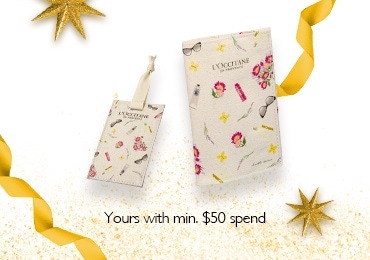 *Valid on 24 Dec only. Limited to the first 20 customers only.